I am in love with this dress! I love everything from the ruffles at the top to the mustard print at the bottom! 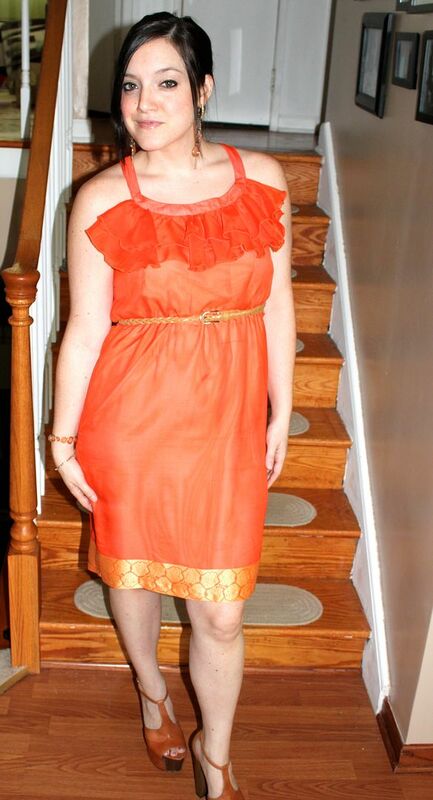 I decided to pair this beautiful orange dress with camel colored shoes and belt and pink with gold earrings and bracelets. Who know orange, pink, gold, and brown could look so good?! Kristin is giving us another amazing coupon code to get this dress for 45% off! It retails at $135 and with this code it's only $75! Just use "STELLA45" at checkout. 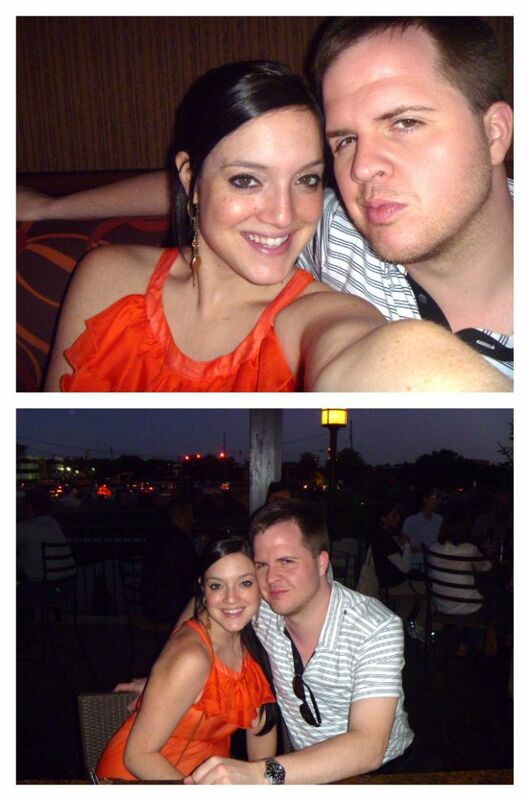 My hubby and I went out to dinner and then went to a second location for an outdoor bar area. Needless to say, we had a wonderful time! I love date nights! And I love that I have a sitter now one day a week so I can go on date nights!!! Hope everyone enjoys their weekend! Uh hello gorgeous!!! Those ruffles are to die for! Date nights are the BEST! Looks like you had fun and the dress is beautiful on you...especially that fun bright COLOR! 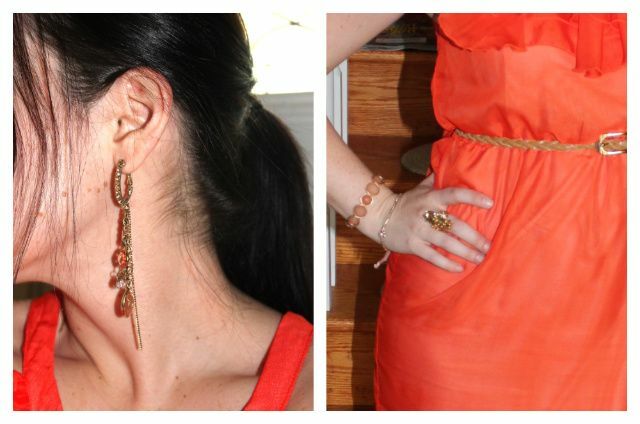 That dress is seriously gorgeous, and I am loving all your fabulous accessories! That is such a Gorgeous Dress! I really love the trim at the bottom of the skirt. once a week?? lucky! sweet dress, and the color is absolutely gorge!! pretty dress - love the colour!!! Thanks everybody! I loved the color too! I felt pretty in it, and that's really the most important thing! Hi Lisa love the dress. Wanted to order a few things on her website and couldn't find a sizing chart...can you help? Thanks!! That dress is so beautiful!! I am loving the colour! Thanks Lisa for all the help!!! I've got those hips too. Love your blog! loooooove the dress! it's perfect! Great photos! Love the shoes! i've never had orange dress but yours are surely adorable.